One of our goals as a church is to Create engaging environments for people to experience the Gospel and process its implications on their life. In an effort to accomplish this goal we are moving Adult Worship into the gym where we can limit distractions, and we are moving Treasure Island into the cafeteria which is a brighter/more open space. Our Host Team will help direct us, as we reorient to new Treasure Island check-in, new restroom locations, and new Adult Worship entry points. You may want to arrive a few minutes early so that we may help you maneuver the changes before the service begins. We are excited to provide more engaging environments for people to experience God! 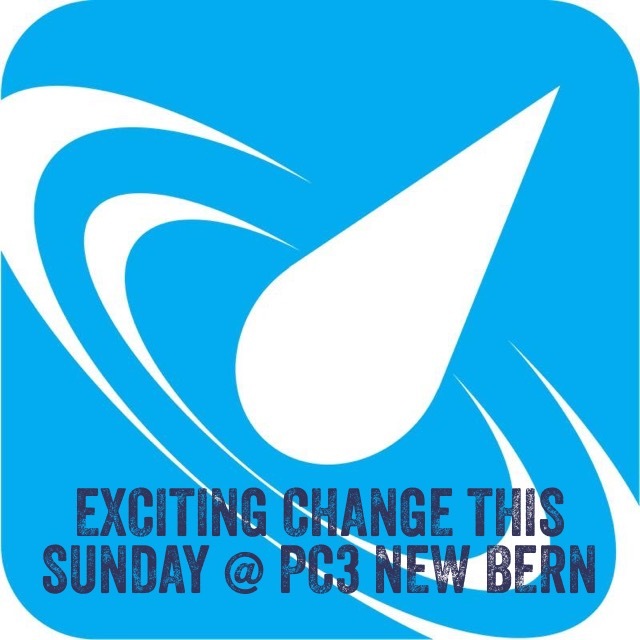 Please help us by spreading the word about this change to your friends who attend PC3 New Bern and leverage it as an opportunity to invite someone church! Look forward to seeing you on Sunday, 10am, @ New Bern High School!